Brookfield Incorporated is a division of Brookfield Asset Management, a Canadian company that manages a global portfolio of total assets under management of $181 billion, invested on behalf of clients. Brookfield is the largest commercial construction company out of Canada. 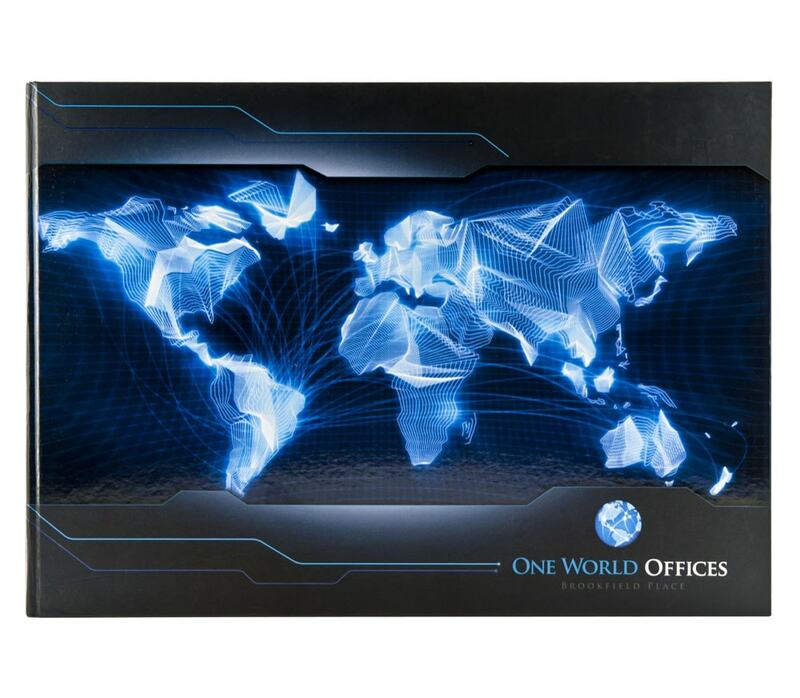 Brookfield wanted a direct mail piece that would showcase their extensive list of the commercial properties they constructed as well as their new commercial offering called One World Offices. Brookfield worked with Americhip to develop a large casebound book that utilized Americhip’s Video in Print Technology. 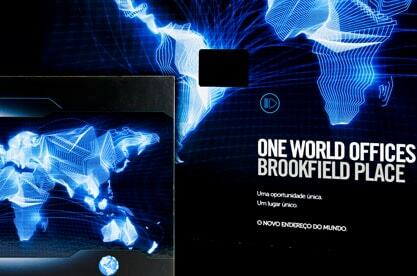 The first page of the beautifully designed book had a 2.4” LCD Screen that played a video presentation of Brookfield’s commercial presence in Brazil as well as the new features and amenities of the new One World Offices. The book not only had beauty shots of the commercial properties, but it also had an actual fold-out sample floor plan giving prospects a look at Brookfield’s quality and expertise. Brookfield now had a direct mail piece that would engage its target audience of wealthy commercial business prospects which also further helped brand Brookfield as one of the global leaders in commercial construction and asset management.